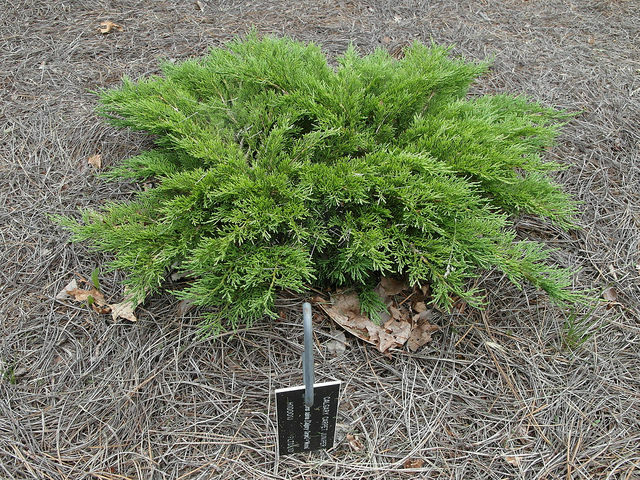 In mountainous regions throughout much of Europe and Asia there grows an evergreen shrub by the name of Juniperus sabina (savin juniper). Being a juniper, it produces berry-like cones and is occasionally infected by members of everyone's favourite genus of sinister orange tentacled fungi, Gymnosporangium. Crushing the leaves of J. sabina produces a strong unpleasant odour, a harbinger of the ability of the plant to poison many of the creatures who consume it. It contains a mixture of smelly water-insoluble compounds, which when extracted together are called its essential oil. Included in this oil are toxins capable of disrupting the growth of many of the major insect pests of cruciferous and cereal crops, such as Pieris rapae (cabbage white, a butterfly) and Tribolium castaneum (red flour beetle). Two of the insecticidal toxins produced by the plant are deoxypodophyllotoxin and deoxypicropodophyllotoxin. These mouthfuls are structurally related to podophyllotoxin, which is found in the roots of the American mayapple and can be used to treat warts. The anticancer drugs etoposide and teniposide, which work by selectively killing fast-growing cells, are synthesized using podophyllotoxin as a starting material. In folk medicine, J. sabina is used to treat ulcers, rheumatic diseases, coughs, and diarrhea. It also acts on the female reproductive system, and for this reason an oil derived from the tops of the plant, taken by mouth, has been used since ancient times to induce abortion. However, this effect only occurs at toxic doses, making it an incredibly unsafe means of terminating a pregnancy. Eating the plant can cause damage to the gastrointestinal and genitourinary tracts, resulting in pain and bleeding. It also harms the brain, potentially leading to convulsions, coma, and death. Based on laboratory experiments, J. sabina essential oil appears to inhibit the welding of sugar molecules onto blood-based proteins such as insulin and hemoglobin. This process, otherwise known as glycation, underlies the various hotspots of blood vessel damage associated with diabetes (e.g. retinopathy and nephropathy). There's hope that certain components of the essential oil might one day help to prevent and treat such complications. Asgary S, Naderi GA, Sahebkar A, Ardekani MRS, Kasher T, Aslani S, et al. 2013. Essential oils from the fruits and leaves of Juniperus sabina possess inhibitory activity against protein glycation and oxidative stress: An in vitro phytochemical investigation. Journal of Essential Oil Research 25(1):70-77. Fournier G, Baduel C, Tur N, Rusnac M. 1996. 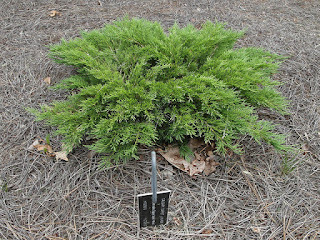 Sabinyl acetate, the main component of Juniperus sabina L'Herit. essential oil, is responsible for antiimplantation effect. Phytotherapy Research 10(5):438-440. Gao R, Gao C, Tian X, Yu X, Di X, Xiao H, Zhang X. 2004. Insecticidal activity of deoxypodophyllotoxin, isolated from Juniperus sabina L, and related lignans against larvae of Pieris rapae L. Pest Management Science 60(11):1131-1136. Goodman L, Gilman A. 1941. The pharmacological basis of therapeutics. Macmillan Company.